This is a committee to organize. pack and make ready for shipment. clothing. medical supplies. school supplies. 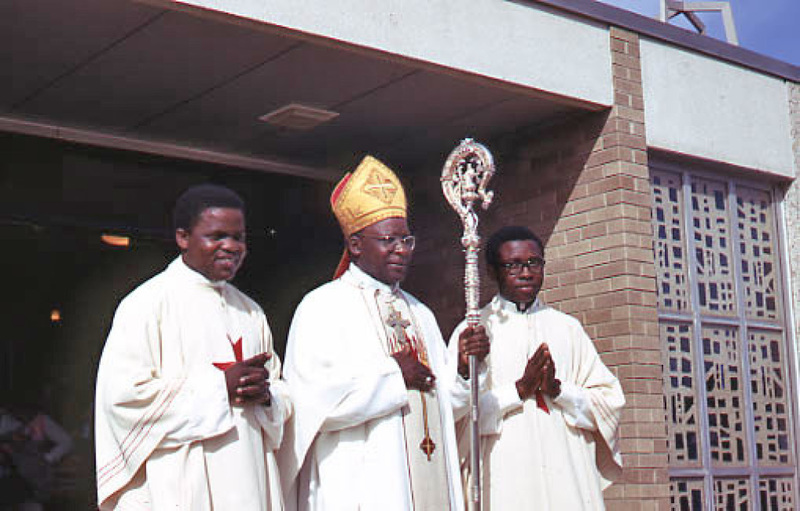 etc.. to Father Larry Kanyike for his people. 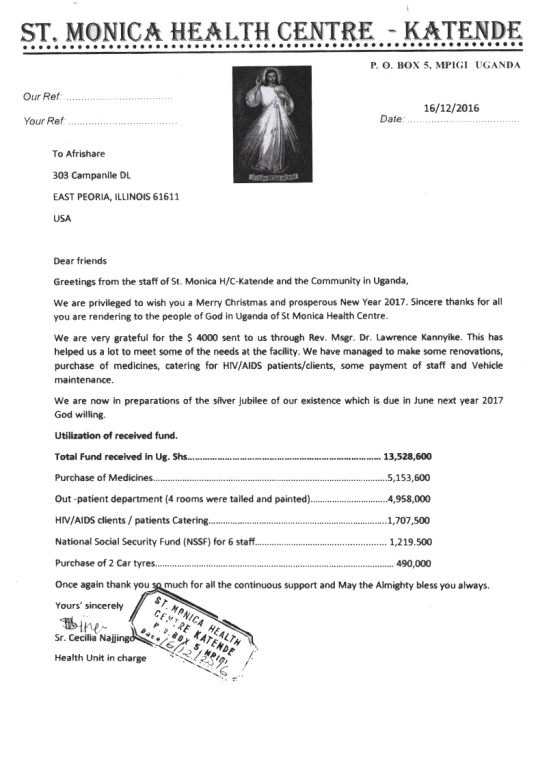 the orphanage and St. Monica's Hospital in Uganda. Africa. If you have something to donate or are interested in helping or making a financial contribution. please call Eileen Bieneman at 699-4786. Our relationship with Father Larry began many years ago. A brief history of this relationship follows. From 1971-1974 Lawrence Kanyike. a student for the priesthood at Notre Dame University spent his summer months at St. Monica parish. Larry hailed from Uganda. East Africa and quickly made many. many friends at St. Monica. He was ordained a deacon at St. Monica and a year later St. Monica church was honored to host his ordination. After he received his doctorate degree. 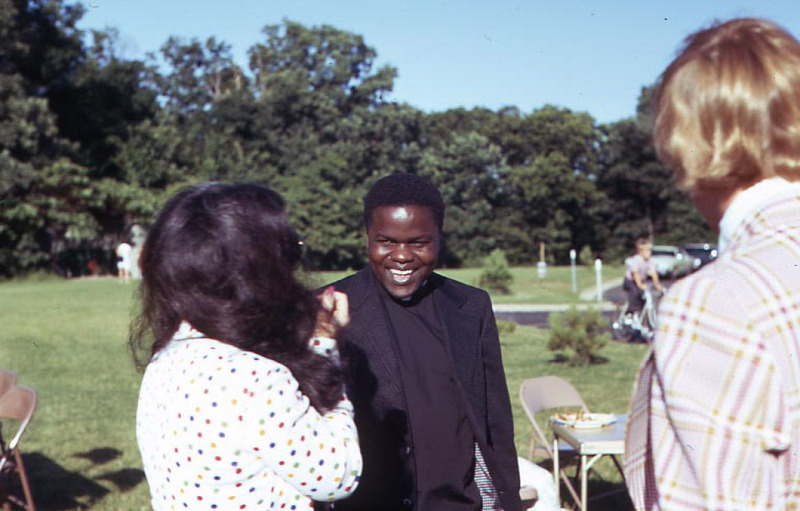 he returned to Africa to teach at St. Mbaaga's Seminary. and to serve as Chaplain for the Makerere University in Kampala. Uganda. Father Larry has been returning every other year for some time to report on the progress that has been made with our help; and. to encourage us to continue.